The Viking world is full of lands begging to be explored by dynamic dragon riders. That’s why the School of Dragons encourages all students to fly out and explore the archipelago away from the safety of Berk and the School of Dragons. The unfamiliar terrain may be perilous, but you’ll find yourself captivated by the diverse climates, landscapes and dragons the world has to offer. The chance for adventure is tempting enough for any Viking, so grab your pointiest helmet, your sharpest sword, your warmest furs, and of course your dragon, and take to the skies! On your travels, you could find yourself dodging blasts of amber on Death Song Island, or swerving around the hulls of destroyed ships in the Ship Graveyard. 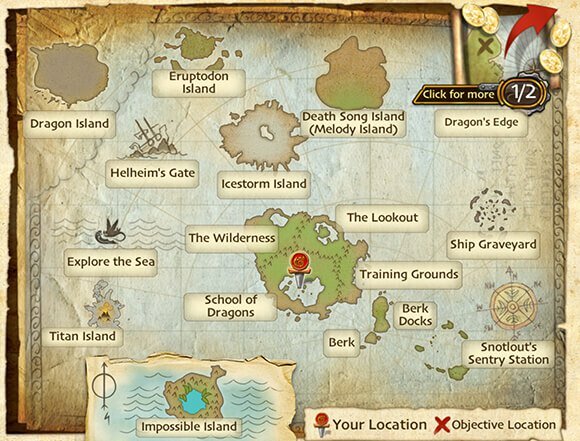 Should you need to get information on the whereabouts of notorious enemies of Berk, put on your meanest mug and fly on over to Auction Island, where the archipelago’s most ruthless criminals conduct business. You’ll trudge through snow-capped mountains, fly over rocky cliffs and wander through scenic meadows. The archipelago will always be there for you to explore its many secrets waiting to be uncovered and adventures yet to be had. New quests, dragons and glory await you outside of Berk. Whether you’re simply curious, or if you are on a quest, go out into the great wide world and see what it has to offer! I have always loved Berk, but for years, I felt confined to my small corner of the world. We had ships, but I was always too young to sail out, according to my parents. To them, I was always too young. That is, until they both agreed that I could attend the School of Dragons and train my very own dragon. I had never felt as much freedom as the day I first hopped on the back of the Monstrous Nightmare that I had named Flick. As we flew up through the clouds, I felt a freedom that before then was nothing more than a dream. I felt like a god. The world was mine. I could explore! 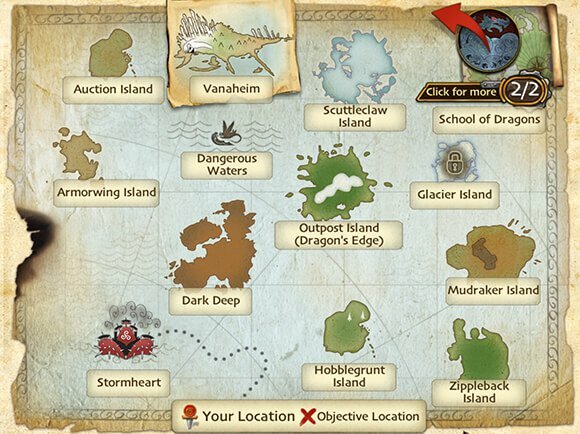 I thought of all of the mysterious lands that Hiccup and his friends had already discovered and mapped. I wondered if I could do better. I wanted to be the most daring explorer the archipelago had ever seen! With Flick, we could go out and see the world together whenever we wanted.